The effects of ferrous ion (Fe2+) on the aggregation of residual hydrophobic-modified polyacrylamide APP4 were studied by fluorescence spectrum and dynamic light scattering (DLS). The result showed that Fe2+ was helpful for aggregation degree of APP4, which is not good for the stability of APP4 in water. Therefore, ethylenediaminetetraacetic disodium salt (EDTA) and sodium citrate were used to eliminate this influence. Several experiment results presented that EDTA can effectively eliminate the influence of Fe2+ on the residual APP4 when its concentration was 50 mg/L. 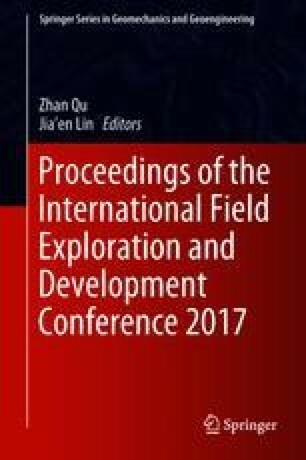 This paper was prepared for presentation at the 2017 International Petroleum and Petrochemical Technology Conference in Beijing, China, 20–22 March, 2017.